Your garage door is the biggest and toughest door you have in your house. For that reason alone, your garage door needs to be reliable, durable and look good while standing strong against any of Mother Nature’s elements. Garage Doors of Cleveland gives you options so that you can choose the perfect long-lasting garage door to compliment your home and maintain your investment. Our garage doors are remarkably durable, sturdy and stable. Plus, no matter what level door you select, each door is guaranteed protection from even the harshest of weather conditions. The strong, steel material is virtually maintenance free and energy efficient. You’ll be impressed with our variety of styles, colors and sizes. Whether you’re looking for a 9ft. one-car garage or a 16ft. 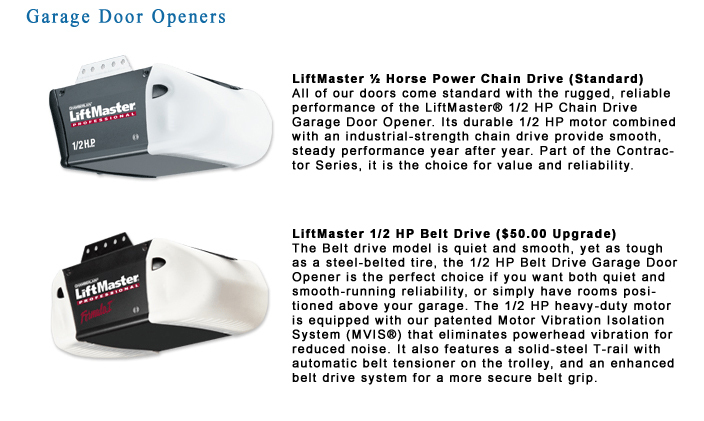 two-car garage, or a rare custom size garage door, our products are sure to match any type of architecture. 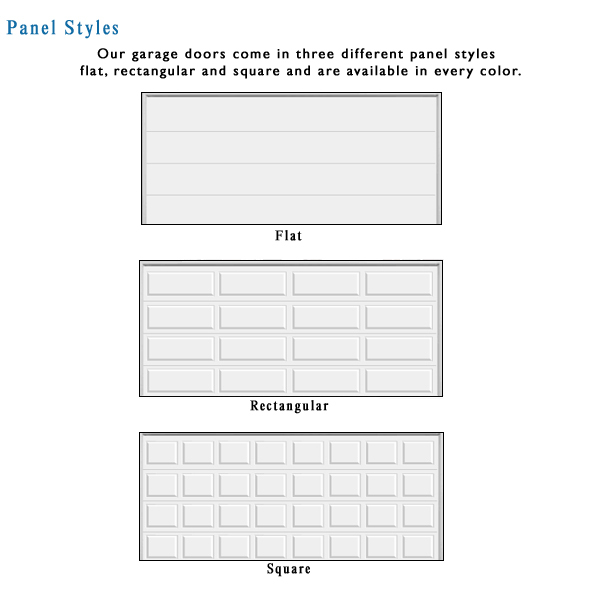 Our economy garage doors are durable and are perfect for any budget. Made from heavy-duty steel these doors are attractive, top-of-the-line doors without the price! 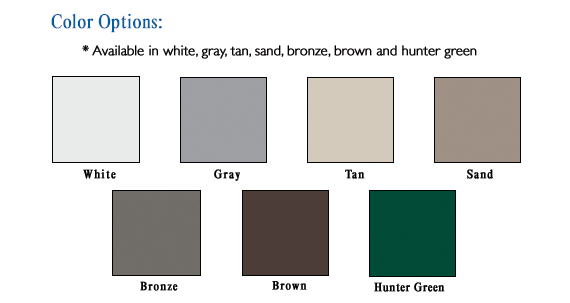 Available in a variety of colors and styles, these doors have an R-value, the efficiency of insulation, between 4 and 6, and are sure to withstand through any inclement weather. Our standard garage doors are energy efficient and dependable. Made out of heavy-duty steel, these doors are injected with an insulated cored to help protect your home from any harsh weather. The inside of the door is also coated with a polyester steel protection for double shield against the elements. These doors are beautiful, easy to clean and very low maintenance and come pre-painted to match any type of home! Available in a variety of colors and styles, these doors have an R-value, the efficiency of insulation, greater than 8 for a reliable, long-lasting defense. Our premium-insulated doors are virtually maintenance free and thermally broken for superb weather protection. With an R-value, efficiency of insulation, of a 14+, a 26-gauge exterior steel skin and a 27-gauge interior steel skin and a foamed in place urethane creates a firm barrier, these doors really can withstand anything. These exceptional doors also have a continuous joint seal that stops air penetration and enhances the door’s durability. Our Carriage House doors give the look and feel of a historical re-creation of the traditional wood carriage house door, however made completely out of steel so that it can withstand virtually anything. These doors have a maintenance-free durability and a limited lifetime warranty for years of worry-free protection. Our carriage door collection has an R-value that ranges from a 6.85 to a 14+ so that you can choose the perfect amount of insulation for your needs. However, since there are too many options for carriage doors to put on the web, we will gladly take any questions any concerns you have about our carriage style doors by telephone at 1-888-447-3969.